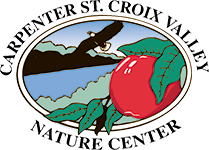 Located within a half hour of the Twin Cities, near the confluence of the St. Croix and Mississippi Rivers, Carpenter St. Croix Valley Nature Center provides a unique opportunity for you to learn and explore the outdoors. 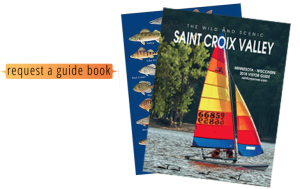 With property on both the Minnesota and Wisconsin sides of the scenic St. Croix River, the Center has been able to preserve its wildlife habitat. 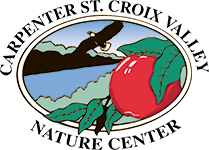 Hiking trails wind throughout the tall pines, oak savanna, restored prairies, wooded ravines, around the apple orchard, and along the river of the 425 acre Main Campus. With over 10 miles of hiking trails, three-and-a-half which are paved to accommodate persons with mobility limitations, you will see a vast variety of plant and animal communities. Wildlife abounds in the restored prairie and wooded bluffs on the 300-acre Wisconsin Nature Preserve.